Here’s the other part of his dilemma. Both are of his own doing. Nobody else’s. 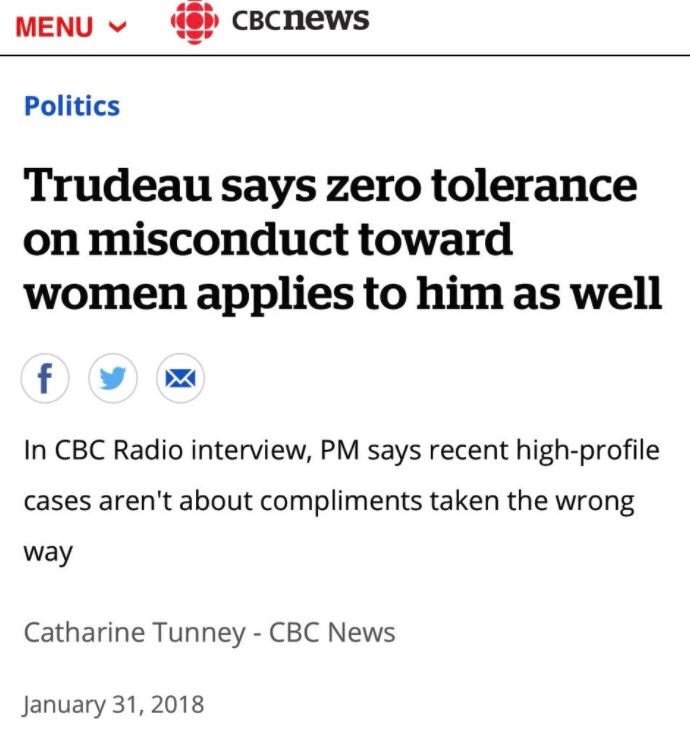 In your chat with Adler, you pointed out no female Liberal MP has publicly defended Trudeau in GropeGate. Paty Hajdu has come out and supported his handling of the issue. That probably isn’t going to turn out so well for her. Just thinking about something that hadn’t been discussed. We all know the quote “If I had known you were reporting for a national paper”. But in conjunction with that, what was the reporters age at the time – likely 21 or 22. This exhibits another piece of evidence that Trudeau had a power imbalance over the reporter. It provides farther evidence into the “headspace” that Trudeau was in.